Hey everyone! It’s Michelle and I’m excited to share another review with you. 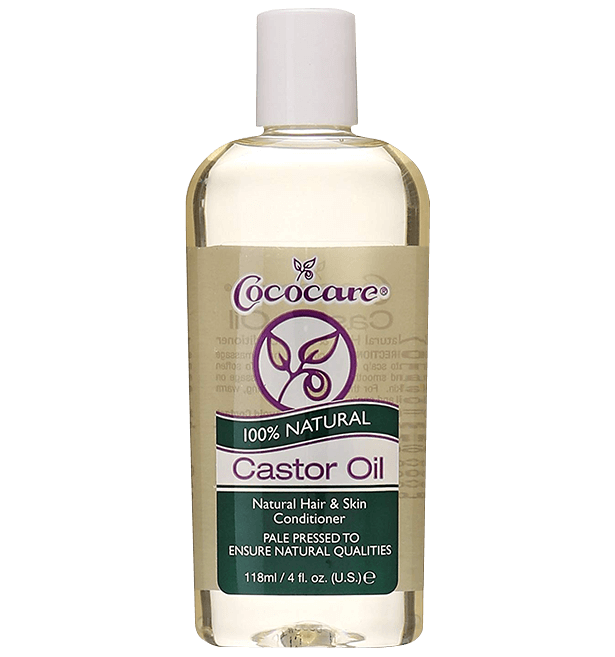 Today, I’ll be reviewing Cococare Castor Oil. This brand has been under my radar for months now. I got the product two weeks ago and gave it a try. Just a spoiler guys, I have no complaints about this product, I absolutely loved it! So I got the product two weeks ago and it came in a shipping bag that has a lot of air inside of it. This is an important detail I appreciate about the packaging. Some of the products you will receive in a shipping bag often don’t have air to cushion the product inside. When I opened the package, I found out that the bag is lined with bubble wrap on all sides. The product is encased in a ziplock bag with air inside. There is no mess or spillage at all. The oil came in a 4 fl oz plastic bottle. When I unscrewed the cap, there is a peel-off seal. This is a good sign that the product wasn’t tampered with at all. 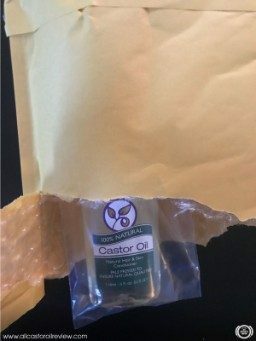 I like my oils authentic and pure so I always return products with broken tamper-proof seals. The product has a press cap where you flip one side and the other side pops up. The side that pops up has an opening where the oil passes through. 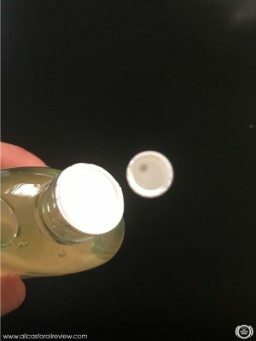 The packaging is convenient because you can just flip one side of the cap, take the amount of oil that you want and use it. The label has all the information like directions on how to use, ingredient, caution, and distributor. The oil is very clear and there are no sediments or impurities. 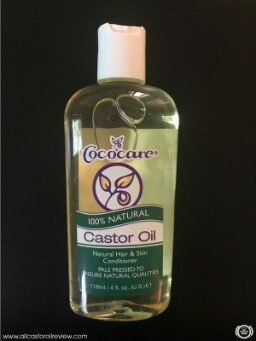 According to the label, this castor oil is 100% natural and there is only one ingredient – pure castor oil. I love castor oil because it has so many uses. 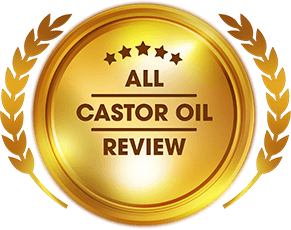 Pure castor oil is very healthy for skin and hair too compared to other products you can find on the market. Because of the transparent bottle of Cococare Castor Oil, you can already see that it has a pale yellow color. The oil is very clear and there are no sediments or impurities. I flipped the cap, squeezed a small amount on my palms, and applied some of it on the back of my hands. The way that the oil smoothed over my skin was really nice. I liked how it felt when I was applying it and after the oil absorbed. My hands felt moisturized and it has a silky texture after. Although the oil is viscous, it doesn’t feel heavy on my skin. The mild nutty smell is not overpowering. The smell is nutty and earthy like raw peanuts. It’s not unpleasant at all and it is so subtle I couldn’t even smell the oil when I took just a small amount. The oil coats each individual strand in protective layer as well. It reduces the drying and damaging effects caused by shampoo and styling tools. I’ve been using castor oil for a long time that I have used it in all possible ways. Since the oil is suitable for moisturizing skin and hair, I thought I’d use it as a pre-poo conditioning. You all know how I’ve been struggling to minimize the frizz and damage of my curly hair. Honestly, I don’t like the feeling of not using shampoo. My scalp feels greasy and dirty even when I wash it thoroughly. So I found a way to counter the drying effects of shampooing, and that is to apply a pre-poo conditioner. 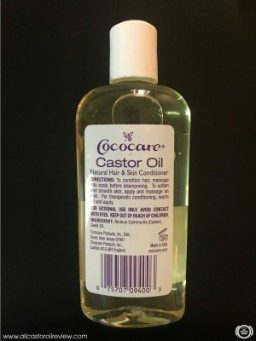 Cococare Castor Oil is the perfect product for pre-poo conditioning. I used it on my hair before shower to help protect the strands from dryness and breakage. For two weeks, I always applied the oil on the entire length of my hair. I leave it on for 15 minutes before I wash it off with a shampoo. I let my hair absorb all the oil so the moisture can penetrate the cuticle layers and hydrate the shaft. As the shaft expands, the strands get thicker. This protects my hair from brittleness and breakage. The oil coats each individual strand in protective layer as well. It reduces the drying and damaging effects caused by shampoo and styling tools. I used the oil for two weeks straight and I liked how my hair turned out. It reduced the frizziness of my hair and made it bouncier. The oil also made my tresses look shiny and thick. Aside from using Cococare castor oil for my hair, I used it as massage oil too. Recently, Marc has been complaining about a backache so I offered to give him a backrub. I took one tablespoon of oil and mixed it with one tablespoon of coconut oil. I warmed the mixture to enhance its therapeutic effects. Marc said that the oil felt light on his skin and that it doesn’t smell unpleasant. Back then, we used to mix a few drops of essential oils with carrier oils because Marc does not like how the oils smelled. But he doesn’t mind the scent of this mixture one bit. Our family has very dry skin and we go through so many lotions every month until I discovered castor oil. I use diluted castor oil as a moisturizer. I just mix it with almond oil or coconut oil. Sometimes, I put a few tablespoons of castor oil in my lotion too. This helps enhance the moisturizing properties of the lotion. My skin feels softer and smoother far longer compared to when I am just using lotion. 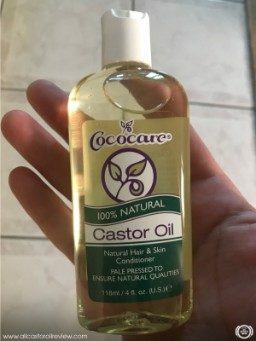 I made my family try this and my sister fell in love with castor oil too so I asked her to try this brand of castor oil. My sister used the oil to moisturize her elbows and knees. Since Cococare castor oil is thick, she only used a few drops. She did this until the flakiness of her elbows went away. Marc and I loved this product. It is so handy and it delivers promised results as well. Using the oil for pre-poo conditioning turned out to be great. My hair was more manageable and the curls became well-defined too. I didn’t even need to detangle when I style my hair because using Cococare castor oil helped remove the knots. The thick yet fast-absorbent oil is a great product to use for skin and hair. Its moisturizing properties made my hair shinier and bouncier. My sister also wanted more of the product. She said that she started using it to remove makeup and it is not drying as a toner and micellar water. The product is really good and I would recommend it to anyone who has dry hair and skin. Cococare has been building their line of healthy beauty care products for over 40 years. The brand created products that can deliver what their customer needs. They carefully choose their ingredients to maintain the quality of their products. The brand uses natural ingredients to create effective formulas. Cococare believes that all their customers deserve to use quality products. They offer a wide array of personal care products and essential oils. Cococare offers free shipping to all APO/FPO locations when you buy from their website. Get Cococare castor oil or choose from their wide selection of natural products to see their wonderful benefits for yourself. 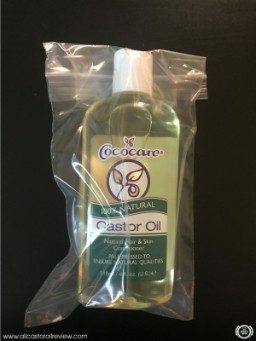 *Ordering Cococare Castor Oil from Amazon may be subject to shipping fees.